Here's how I turned an old 1947 Westinghouse AM radio into a Bluetooth streaming speaker. In the spring of 2010, a friend pitched me a startup idea for renting out children's clothing through a website. I started helping out to learn more about e-commerce and entrepreneurship. The question for the business eventually became: how do we run a rental business without a warehouse? The idea was floated that each renter could clean the clothes themselves before sending them to the next renter, so that the business would never handle clothes. When I went to grad school, I remained curious about whether that could work, and began exploring the broader question of how best to design a sharing economy at the University of Michigan's Strategic Reasoning Group, which uses economics and computer science to understand complex environments. What are the best ways to share stuff? Real stuff, not just bits. This is an open research question, and in the age of the rise of collaborative consumption / the sharing economy, a relevant one. Off-and-on since working with Bebarang two summers ago, I've been studying online mechanisms for the rental of tangible goods. This work has culminated in a publication at the Trading Agent Design and Analysis / Agent-Mediated Electronic Commerce (TADA/AMEC) workshop being held in early June, 2012 alongside the Autonomous Agents and MultiAgent Systems (AAMAS) conference in Valencia, Spain. How do you compare e-commerce reputation systems? In this paper from the winter of 2011, I take the approach of letting little computer programs decide which e-commerce market they would prefer. 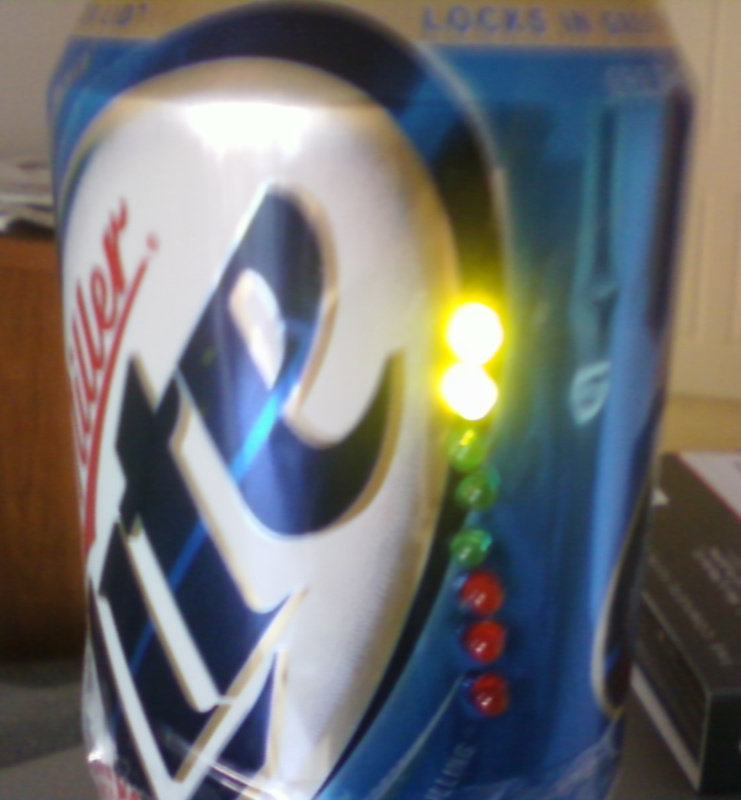 I felt like playing around with DIY electronics, so I built a breathalyzer. It's not an accurate breathalyzer as much as it is a game to see who can get the highest "score". The best part: I housed it in a beer can, so when you blow into it, it looks like you're taking a drink.